It sometimes seems like everything that tastes good has sugar in it. If you’re concerned about how much sugar your family is eating but don’t like the idea of using artificial sugar substitutes, you will definitely be interested in agave. 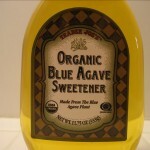 Agave syrup is made from the same Agave plant used to make tequila. Don’t get scared off because it doesn’t taste anything like tequila! Juice from the agave plant is cooked to turn its carbohydrates into mostly fructose and some glucose. 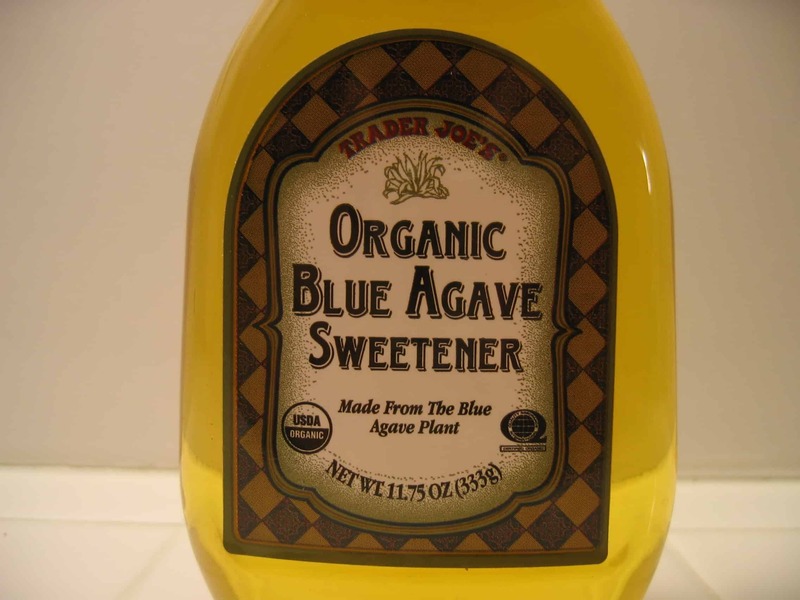 So why is agave better than just plain table sugar? It has to do with the balance of sugars it contains. Agave contains mostly fructose, which is also the main sugar in most fruits. Fructose is much slower to raise blood sugar than sucrose (white table sugar) so doesn’t cause the sugar highs and lows associated with most sugary foods. This is measured using the glycemic index. Agave is very low on the glycemic index (15) compared with table sugar (70) or corn syrup (110). Foods low on the glycemic index keep your blood sugar more even which results in less of the sugar converted to fat. It’s a good idea, in general, to eat more foods low on the glycemic index. Mix up the dry stuff and add the wet stuff, except for the raisins. Bake at 300F for about 30min, stirring every 5-10min. It should pick up a light brown color. Make sure it doesn’t burn. Take it out and mix in the raisins and cool completely. 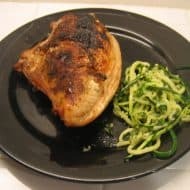 I eat this with plain yogurt. YUM! I hope you try agave some time. If you end up using agave in a favorite recipe, post a comment and share it with us! Thanks for helping me track down agave! My wife and I are cutting out sugar for 21 days so we are using agave as a substitute. I am also going to try your granola recipe as well.. Thanks!